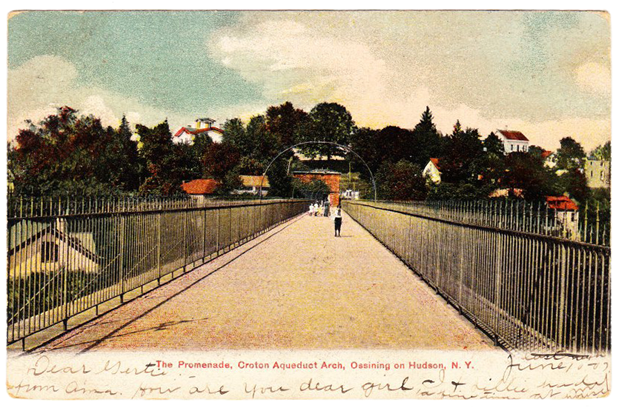 This post card, postmarked June 11, 1907, was published by William Terhune, Ossining on Hudson. 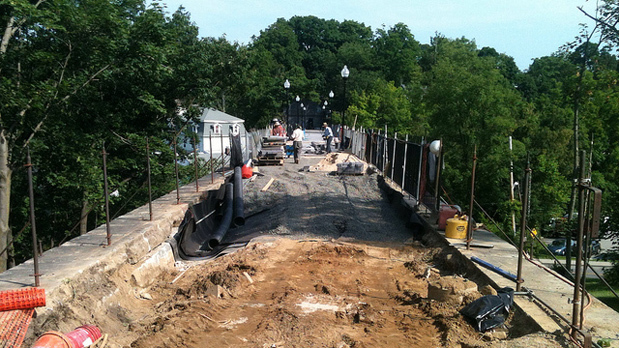 The promenade across Ossining’s famous double arches is being rebuilt and is scheduled to be reopened in September, 2013. Above is a post card showing the location circa 1907 and below is a photo of the site under construction today.